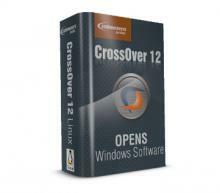 CodeWeavers the software company today has released a new version of the emulation software of Windows called CrossOver for Linux and Mac OS X. The latest version is based on Wine 1.5.15.CrossOver now offers better integration with Gnome 3 and desktop systems Unity and also supports transparent windows with feature of activated composition manager. Also new applications have been added.